Spent 7 nights here at beginning of July and it was great! Clean, friendly, flat pitches, spacious. Even after a storm when there was no power for 24 hours, everyone pitched in and we all spent a great evening in the Nook eating curry and drinking beer by candlelight. Great pool, loads of space for the children, lovely fresh walnut bread every morning... perfect! We loved this site. Natalie and Patrick and their children made us very welcome. The site is well maintained, very peaceful and well located. The bar in the evening and coffee shop in the morning were well visited. We spent time in the large swimming pool and families with young children are well looked after. We really hope we can visit again. We returned from our third visit to Mathevies earlier this year and it most definitely will not be our last. 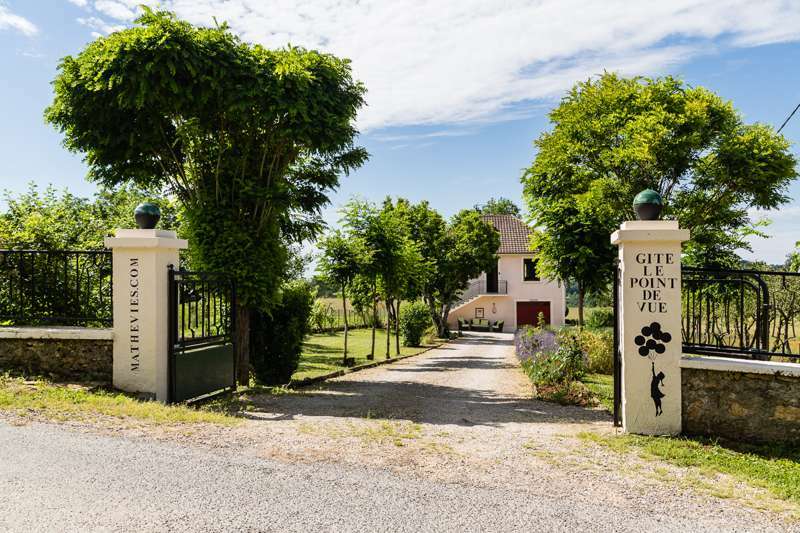 The previous 2 occasions we have camped, but this time decided to go for a bit of luxury and we stayed in one of the gites – the beautiful Le Point de Vue. We love the atmosphere at Mathevies, it’s so relaxed and in such a beautiful setting in the Dordogne Valley. Le Point de Vue is a short 5 minute walk from the campsite (that’s with a slow 4 year old in tow) so is close enough to easily enjoy all the facilities. The gites itself is wonderful. A fully equipped kitchen with everything you could need, 2 large double bedrooms, the second with twin beds and bunk beds so easily big enough for most families. There is also a downstairs guest wing which we didn’t need but would be perfect for another couple or the grandparents. It’s the small touches that really enhance the experience here. There are books, games and DVDs which are great for a rainy day or if you need to keep the kids entertained when not enjoying the campsite. There is also UK freeview TV and wifi. You also have the option of hiring towels and linen or bringing your own. The setting of the gites is beautiful with amazing views of the Dordogne Valley. We enjoyed BBQ’s every evening in the garden but with the fully equipped kitchen and the Cosy Nook Café up at the campsite, a BBQ is just one option. Mathevies really is a great place to stay. I would highly recommend the gites, particularly if you want something a bit more luxurious than a tent, but there are also chalets on site which look great. The owners Patrick and Natalie could not be more accommodating. They have created a real gem of a site. If you are after a large Eurocamp style place then this is most definitely not for you. It is quite a small site but with great facilities and a lovely relaxed atmosphere. 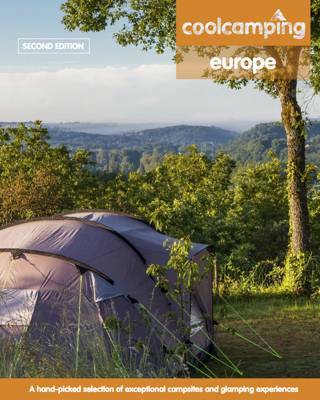 Sarlat and the Dordogne are a stunning part of France and I cannot imagine even trying a different campsite in the area – I don’t think anywhere would be half as good as Mathevies. We will definitely be returning in 2017! We stayed for five days in the first week of July 2016. We found the site to be beautiful, our pitch had great views and the facilities were impeccable. The owner are friendly and helpful and provide an abundance of information about the range of great stuff to do in the local area. The site was not too busy at this time of year, it was just right for us - there were children around but they were all behaved and we were pitched well away from them and it was no bother to us at all. The pool is lovely and bar facilities are really great. I very much enjoyed unwinding, reading my book on the patio in the morning and evening; it was calm and peaceful at that time, although I imagine it may be busier during school holidays. The area is amazing, so much to do, many great towns to visit. I'd highly recommend hiring a canoe on the dordogne, dogs are allowed in the canoe too and it was just wonderful. It's a lovely river to swim in too as it is not deep and there are a number of lovely spots. We will definitely revisit this area and campsite and will recommend it to friends and family. Perfect campsite. Small enough to be very friendly & pretty, but with a lovely cosy rustic bar area (& indoor kids playroom). We stayed here as a couple & dog in our old battered VW camper, as part of a 2 week road trip celebrating our wedding anniversary. The owners Nathalie & Patrick are very helpful. They have avoided being a generic commercial campsite, retaining charm, warmth & character, while having excellent facilities. We caught the tail end of the unexpected wet June weather, so having a small cosy bar where we could have a drink & dry off was ace. The visiting food trucks in the busier summer months are inspired, the French Cassoulet was lush & their own pizza & frites good too. The pitches vary in size & style, with varying shade / sun to suit all needs. Some have great views. Once the sun returned we spent days lounging on site in the sun, & lovely evenings were spent star gazing in our hammock. I highly recommend the 17km off road walk around the area (maps available at the campsite for €2) - we did it in two separate loops on two days. The surrounding area is beautiful & all supplies you need are in nearby town. We loved this site so much, that we extended our stay from 3 nights to 6 nights instead of continuing our planned road trip - we did not regret it. We'd return in a heartbeat. Great campsite - hope to be back next year! We have been to Domaine des Mathevies two years running, in the first week of September when I believe it is a little quieter. We loved the laid back environment, great atmosphere and helpful hosts. You are in beautiful countryside and a short drive from amazing places to take the kids. Many days we just preferred to stay on site and use the pool, take Maisy the dog for a walk, or have a tea party in a tree house. Our daughter loves the freedom of the place, and having games and toys available in the Cosy Nook is great. The pool, with a smaller shallow splash pool for smaller children, is just perfect. It's true, you can't choose your neighbours! We did wonder this year if a sundown curfew might be useful, when we had 3 boys marauding outside the mobile home... We also think we may have missed out on some good onsite dinner options by coming later in the season? But basically we love it here, and it's great for families with young children. Can't wait to come back! We stayed at DDM for a week leaving just before they closed last weekend. What a fabulous site - brilliant atmosphere and location was superb, very peaceful. Large pitches suitable for tents through to motorhomes and good variety of pitch location including stunning views across the valley. Facilities were excellent - showers always hot - views from washing up sinks amazing. Bar was good for a morning coffee through to a well earned glass of wine at the end of a cycle ride or walk. Natalie could also make you a pizza and fries if you didn't fancy cooking. Not many children when we stayed but would think its great with swimming pool, playground and tree house. Natalie and Patrick the owners have spent 10 years building up the site and all their hard work really shows. Thanks for a great stay. We spent 3 nights in the middle of August at the site. Our pitch was on a junction with the swimming pool, the children's playground and the clubhouse and facilities, plus our neighbours had a small baby who was encouraged to cry itself to sleep in a rear-awning to the caravan on the pitch next door. So at 8 pm as we hoped to soak up the last few rays on our pitch and have our supper, we were serenaded by long spells of crying about 6 ft away, whilst its parents sat round the other side of their caravan in relative P&Q! So it was not a particularly peaceful 3 days, which we had encountered on other pitches throughout August. There were no set hours for the pool which is unusual and meant there was constant pool noise from c. 8 am until sundown. Having said that - it is wonderfully situated, well maintained, very friendly, with Sarlat a bike ride away (bit hilly but doable) and the beaches on the Dordogne were easily accessible. Out of season, on a quiet pitch with a view would have certainly earned it a 5-star review. Having found Mathevies on Cool Camping we found the booking system incredibly easy to use. Communication from Patrick and Natalie was excellent. Once we arrived at Mathevies we had the most wonderful holiday. The site layout is perfect for children across the age groups. Our 5 year old daughter was able to play at the swings and the tree house and we knew where she was and that she was safe. The tent pitches are generous in size and ours had a stunning view over the valley. This campsite has a definite vibe to it. It was incredibly well-organised and incredibly relaxed. Signage was polite and straightforward. This meant that campers maintained the standards of cleanliness requested around the sinks and toilet blocks. Facilities were cleaned regularly and the friendly handyman was constantly going around the site maintaining everything from cutting the grass to replacing water taps. 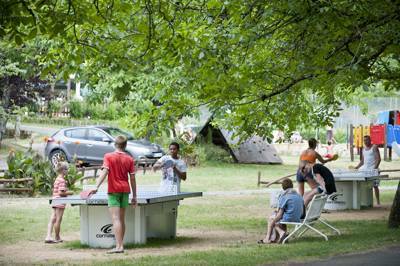 The atmosphere was very chilled and campers really got to know each other in this setting. Patrick and Nathalie are super hosts. They are friendly and very informative about the local area. From morning croissants to the evening feasts of paella (alongside other foods) the food was wonderful. The beautifully cold draught beer was especially welcome. We cannot recommend this site enough. 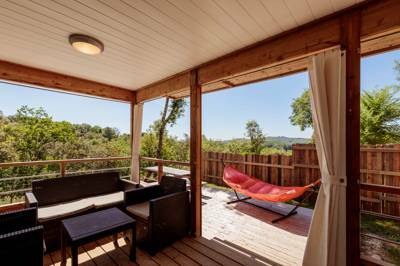 It's perfectly positioned, ten minutes from Sarlat and within easy travelling distance of Rocamadour and Domme. We will be back next year and for many years to come. Fantastic place, can't wait to come back this July! We stayed at this campsite last summer and loved it so much we have re-booked for this July 2015. We have two young children aged 7 and 9 and they said it was the best holiday ever - they had tons of freedom but we could also relax knowing they were safe and enjoy the peace as they made friends straight away and had loads to keep them busy. The campsite itself is set in the most beautiful area and we loved the fact that it was not too big and the tent pitches are a good size so you don't feel on top of your neighbours. The Cosy Nook Cafe was a godsend for when we didn't feel like going out or cooking and the daily morning croissants were a real treat. Patrick and Nathalie have worked very hard to make this a very special place as the facilities are excellent and it has a real community feel to it. You can see from the number of people who keep coming back that they have a loyal following. If you have younger children then this is a fantastic place to stay. The Dordogne is just stunning and there is so much to see and do in Sarlat and the surrounding areas - you will not be disappointed! 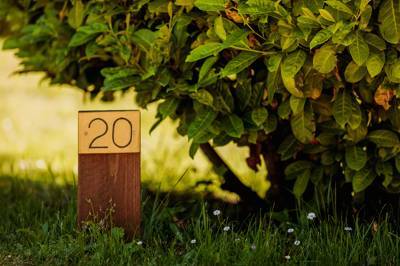 We were looking for a quiet, rural site for a few days and Domaine des Mathevies hit the spot. It was very peaceful, surrounded by lovely countryside but just a few minutes from Sarlat la Caneda. The whole place is very laid back but has all the facilities you need and the bar was a bonus, serving excellent beer from a small brewery, La Croix du Rat. We just came back from our September-tour throughout France where we stayed at several cool camping-places. Again, this one was our favourite. Perfect match of wonderful weather + friendly owners + great food + just the right amount of not too many other people, still enough children for our 3yr old to catch up. The atmosphere is friendly and relaxing and days fly by so fast we decided to stay a little longer next year. Maybe we have a chance to join one of the campfire evening then also which we didn't yet (end of season propably). Nathalie and Patrick, thanks again for a great time! We will be back! Perfect place for the perfect family holiday! If you want large commercial campsites with entertainment every evening and pitches and caravans jammed into every conceivable spare space - then don't visit here you will hate it! We have just returned from the most perfect week with our 2 children (aged 9 & 4). We chose to stay in an Eden Chalet which was great for us. The Chalet was spotless on arrival and had all the "kit" we needed for the week. The beds were comfortable and all rooms were more spacious than we expected! We swam, we played tennis, and we drank just a little bit in the bar! The bar/cafe area is a great space to meet people and have a bit of "adult time" while the kids loved the freedom of running a round with their new found friends and playing in the playground - all the time not too far away. This made their holiday and our youngest declared the best part of the week was meeting new friends! Our only regret was we never made time to eat there - but the food looked great and we will next time, we promise! 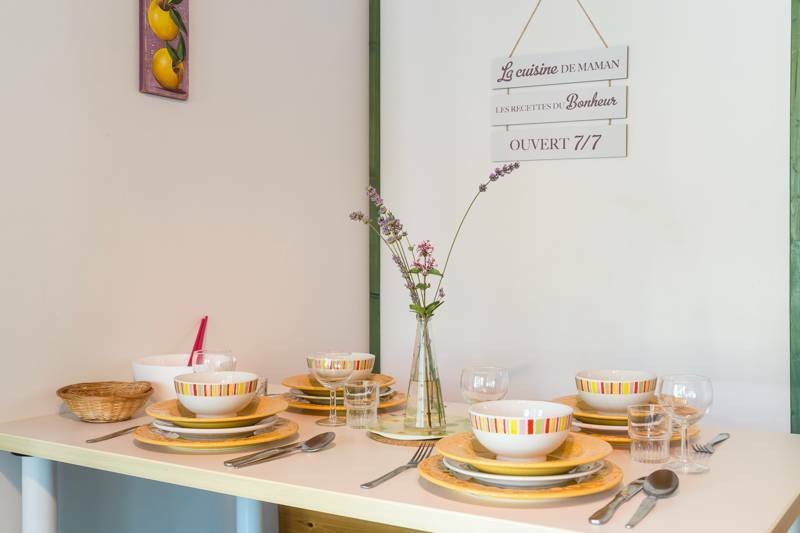 The site is very well positioned for all the main attractions in the area - and Sarlat with its Supermarkets and wonderful market is only 15 minutes drive away. Pat and Nat are on hand all day to give advise on the area, help out with any problems and can reserve canoe trips, horse riding, tables at their favourite restaurants etc for you. They have obviously worked so hard to get this gem of a place to where it is today and they are always looking at changes to keep it at this standard - can't wait for the updates on how the new chalets are coming along? A perfect place which contributed to the perfect family holiday! We will be back next year! Thank you from Team Weale! This campsite was a fantastic find. We have just come back from two weeks here, the facilities are great, kids really loved the pool, but best of all for us was the fact that the site is small and VERY friendly. Lots to do in the nearby area, we have four children and we're never bored. Especially enjoyed all the caves and Sarlat market was great. The cafe/bar was great and the food and drink lovely. I agree with one of the posters above regarding unruly children- however it is not for the owners to sort out-rather the parents should be keeping their kids under control. Our four children had an amazing time but were either in bed or snuggled up stargazing by 9.30pm! The other children were all having a great, safe time however and it really didn't bother us to any great degree. Definitely a site for families then rather than couples perhaps. But this suited us 100%. You won't find a more wonderful place to take your children to in France, I promise! Oh and if anyone reads this and goes, please pat Maisy the dog for us and take her for a walk! Thanks Nat and Pat for an amazing holiday. We will see you again for sure. Oh my god, as kiwis visiting France for the first time we have spent 2 days at this most amazing campground and are finding it very hard to leave. Our hosts Pat and Nat are fantastic, friendly and helpful. The campground is small and intimate and the facilities are spotless. Their barista skills and onsite coffee machine is awesome. 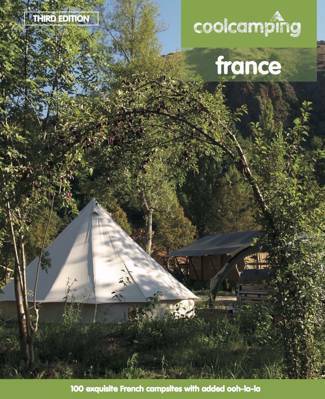 The surrounding area in the Dordogne area is absolutely stunning and all easily accessed from this impressive campsite. Would recommend to anyone to stay here. Kiwis and Aussies would love it We can't wait to come back. We have been to Domaine des Mathevies 4 times, we started coming when our twins were 2 and we're totally hooked, we are planning our 5th trip next summer. In fact we see familiar faces each time we come as other regulars also return every year. 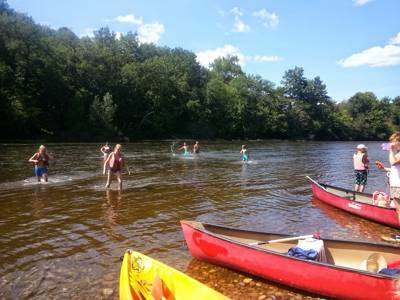 We absolutely love the campsite and the surrounding area, its a beautiful place with lots to do either at the river or hunting for cavemen, that's when we can drag the kids away from the pool! The campsite has a lovely chilled out atmosphere and its so relaxing for parents to be able to kick back and enjoy a glass of wine while keeping an eye on the kids having fun the the playground and making lots of new friends. We 'glamp' it up and stay in the gite which is perfect for us, it feels like a home from home now and is always spotless for us when we arrive. The campsite owners are very friendly and cannot do enough to help if you have any questions or need help. We didn't notice any noise from kids past about 9 pm when we find the campsite starts to quieten down for the night. The Cozy Nook provides great food, the frites are delish, and good wine! The weekly BBQ at the campsite is also a must-do as it is a great chance to socialise and the food is lovely. We're counting down the days until next August! 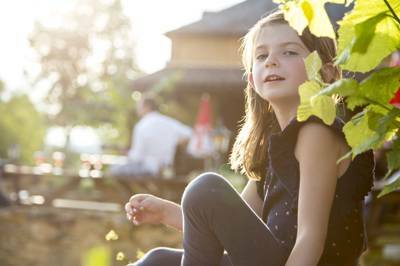 We returned to Domaine des Mathevies for the third time in August and had another fantastic holiday. We've always found the facilities to be very good, and the great thing is each time we've stayed the owners have found yet more ways to make an improvement here and there . This time there was decking round the pool extending the space for families to relax around it, and a permanent awning added to the bar area meant there was room to sit and drink and eat even if it rained. The owners make you feel extremely welcome and are very helpful, providing advice and ideas for things to do. And the kids loved taking Maisie, the dog, for walks. ok, hands up we found this place in cool camping France, and loved everything we read about it. we have 2 pre school kids and wanted to re-create some of our own childhood memories of camping in the Dordogne. so the easy communication with Patrick and Nathalie by email made us feel confident we were going to be lucky. we arrived a day early - "no worries, see you when you get here" said Patrick on the phone - and immediately the place lived up to expectations. small, friendly, relaxed site, suitably remote, with all the comforts you could wish for on a camping holiday. not sure i can repeat all the detail listed in other reviews, other than to say nothing was overlooked, and the attitude of the whole team is to look after you and keep the atmosphere on site as relaxed as possible. we felt we had chosen well, and met many like minded families who were enjoying a just-off-season family holiday. when the late summer rainy days arrived the kids playroom in the barn become invaluable. our 2 loved it, and consequently so did we. sitting in a tent in the rain is one thing, sitting in a comfy armchair with a glass of St Emilion and WiFi access is something else. all the facilities have been designed to help you relax so you can contribute to the unique and friendly atmosphere on site. the domain is well placed for bike rides with or without kids - ride into Sarlat market along winding lanes, back for a snooze or swim. the playground was great, and evening fires were a hit. Patrick and Nathalie gave great local advice, and were friendly perfect hosts. they clearly have a vision of how family camping should feel, and have put their heart into creating something special. thanks very much for a fantastic holiday. i have no doubt we will return. We have been here three times and its lovely .. it seems the owners are doing all possible to make it better each year. It is a clean spacious camp site. Not cramped and peaceful even when its full in peak season there is plenty of room for all. The pool and playgrounds are a hit for my kids and the reasturant bar and camp shop are first class , affordable and quality. There is something special here that we didn't find at other sites around france and we have tried a few which is why we always recommend it and keep coming back . The location is also special any time of year it is beautiful easy to find and lots to do in the area. The hosts actually go out of their way to make your time a real break ...its a fun relaxing holiday and we will be back soon for more time here with the family and friends....WE LOVE IT AND SO WILL YOU .....enjoy ! Lovely - but rather noisy. We stayed for a week in August with two children aged 12 and 8. The setting and site are fantastic - beautiful countryside and well set out site. The facilities were well maintained and clean. The pool area is great and again very well maintained and clean. The only issue we had with site was the level of noise and the number of unruly children charging around and screaming until 11pm. Granted its the summer holidays, but the noise was a bit much for us (we stayed at a site in the Loire valley the following week and all was quiet after 9.30pm). It spoilt are week really - no opportunity to relax with a glass of wine later in the evening. If you've young children it is a great site. We have just came back from a week here and loved every minute! Very chilled out campsite, well spaced so you don't feel on top of anyone else. We stayed with friends and both of us have young kids and it was perfect for them. We could leave them to charge around knowing that they couldn't get into too much trouble and the sandpit/pool/playground/creche kept them entertained all week week long. It's a lovely place in a great area and would happily come back here again. This site exceeded our expectations. We loved it. It is friendly. laid back & totally ’cool’! The children are safe to run free. The fabulous ’no frills’ pool is well maintained with a lovely new decking area & plenty of sun umbrellas (we needed them!). The owners & staff are friendly, as were all the other families we met. LOVE LOVE LOVE IT! If you are looking for a crowded and commercial campside, with caravans standing close by close and people enyoying the view of the neighbors dinner table you definitaly should go somewhere else. Looking out for a campside on our way to the french atlantic coast we found this perfect mixture between „Camping à la Ferme“, privacy and familiarity, and a laid back athmosphere. 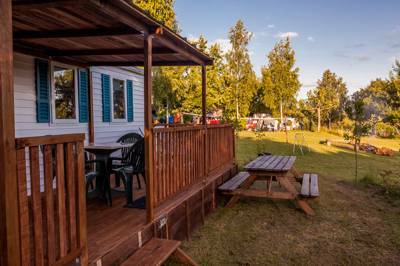 If you are looking for a special place to spend some really cool camping days, „Domaine des Mathévies“ campground is a great choice for you. We are always very critically in finding „the right spot“ to stay, but we must say that this campground is one of the places where you can really relax and enjoy the beautiful landscape of the tranquil Perigord region. Therefore we put it to the list of our personal „favourite campsides“. We think it´s good to make a reservation because the place is not that big, the more cosy it is. The owners Nathalie and Patrick are great hosts and we spent a wonderful, yet short time together. We will definitly come back some time! THE best campsite we could have chosen - huge pitches, quiet at the back of the site if you choose, or like us you could overlook the playground and pool area and keep an eye on the kids. Small yet had everything you would want from a commercial site without the hundreds of people and the crammed in structure. Pool size is perfect, kids playground basic but not that they kids ever noticed that, just my observation, nice tennis court (just go get rackets and balls from reception), small toilet block but never had to wait, GREAT food at a good price, gorgeous scenery and lovely to take Maisy the campsite dog for walks around, relaxed evening activities for those who want (boules, BBQ’s etc). Owners are always on site, ontop of everything depsite seeming very laid back, nothing is too much trouble. Without a doubt the only site we would go to in that area - no way it can be beaten. Tents, campervans, glampers, caravans and pet dogs on leads.